Dover, NH: Today, Greg West photography, a long time commercial architectural photographer, has announced that he will now be providing business portraits services at his new location in Dover, NH. West now shares studio space with the pet photographers at SitStaySmile.pet which allows him to offer a wide range of services that require a fixed studio. 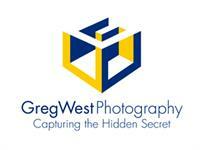 About Greg West Photography: Greg West Photography is a commercial photographer located in Dover, NH. Founded in 1986, Greg West Photography provides commercial architectural and interior design photography services to the building design and construction industries across the U.S.